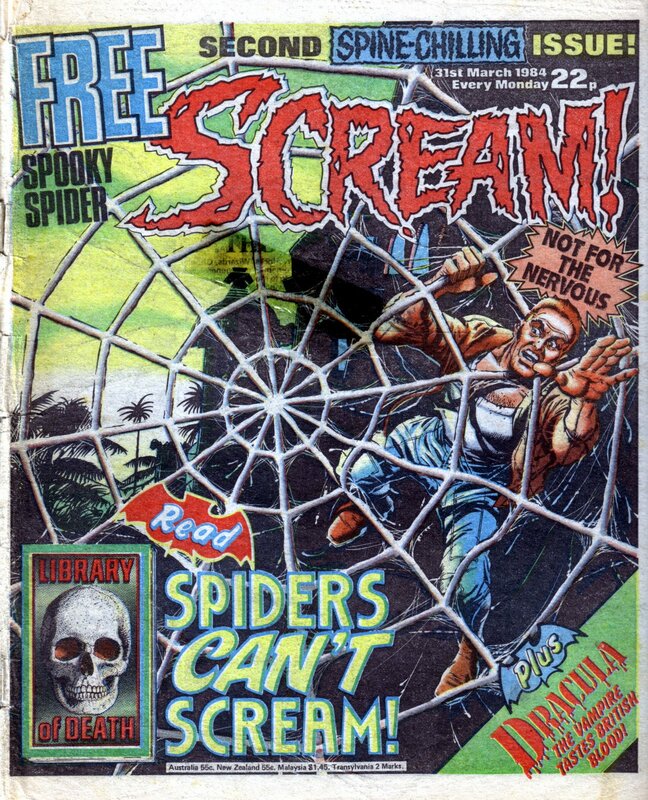 Although TWLB wrote about it already (see here), this is just to acjknowledge that Scream, the IPC horror comic, was released 25 years ago. 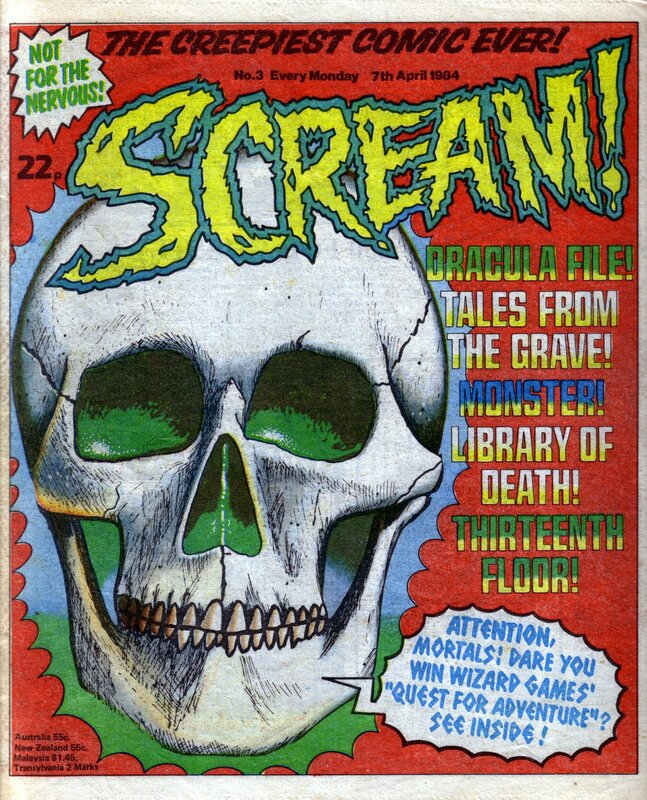 Makes you feel old? Makes TWLB feel old………. 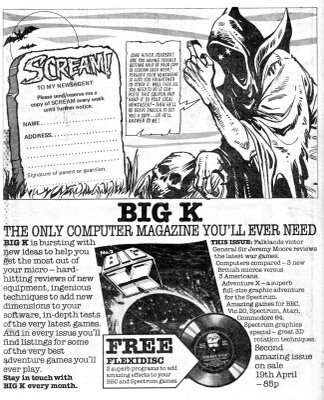 Also, in issue 4, there was an advert for the IPC computer gaming magazine, Big K, with free flexidisk!! !